A majority of vulnerabilities Apple patched this month reside in its web rendering engine WebKit, which is used by many apps and web browsers running on the Apple's operating system. Among the WebKit vulnerabilities include a consistency issue (CVE-2019-6222) that allows malicious websites to potentially access an iOS device microphone without the "microphone-in-use" indicator being shown. 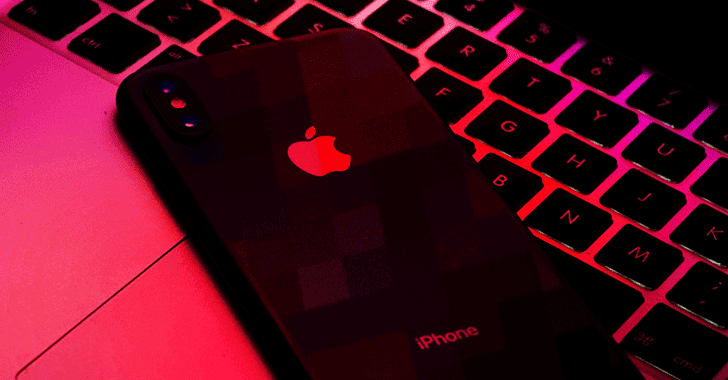 A similar vulnerability (CVE-2019-8566) has been patched in Apple's ReplayKit API that could allow a malicious application to access the iOS device’s microphone without alerting the user. "An API issue existed in the handling of microphone data. This issue was addressed with improved validation," Apple says in its advisory briefing the ReplayKit bug. The SMS vulnerability, identified as CVE-2019-8553, appears to affect iPhone 5s and later, iPad Air and later, and iPod touch 6th generation devices. Apple has also patched a total of six vulnerabilities in iOS kernel, of which CVE-2019-8527 could allow a remote attacker to crash the system or corrupt kernel memory, CVE-2019-8514 could be used to elevate privileges, and rest allow malicious apps to read memory layout. The technical details and proof-of-concept code for the newly patched flaws are yet unavailable. To check for the update on your iPhone or iPad, go to Settings→ General → Software Update and click the 'Download and Install' button.